Daxtra has today announced the completion of a ‘six-figure’ investment in idibu, the fast-growing developer of Multi-Posting and Candidate Management software. The capital secures Daxtra, the global leader in Recruitment Process Automation, a minority stake in the company that counts Michael Page, Blue Arrow and S:Three amongst its clients. The investment allows all Daxtra clients instant access to the most cost-effective multi-posting tool in the UK and gives them the ability to operate it seamlessly together with Daxtra’s other market-leading solutions. Meanwhile idibu clients will benefit from access to industry-leading CV Parsing, Candidate Acquisition and precision internet-wide Search & Matching solutions. idibu will now invest the new funds in both commercial and technical development activities, significantly boosting the company’s profile and pushing the software to outperform alternative providers during 2011. Both companies will also utilise combined resources to increase sales and marketing channels as well as product development to bring huge benefits to current and future clients. Andrei Mikheev, Managing Director of Daxtra, welcomed the deal, saying, “Daxtra customers can now choose from a complete suite of application management tools from one supplier, all tightly integrated with whichever underlying RMS or CMS they use. This investment also allows idibu to significantly fund their R&D whilst continuing to enhance their innovative solutions – benefiting existing customers as well as future ones”. Steve Walker, Managing Director of idibu, commented, “Daxtra are the perfect match for idibu as a strategic partner. Both parties are focused and committed to leading the market in their respective fields and together we can provide the recruitment and personnel sectors with a seamless service. We’re also keen to tap into their extensive experience as we continue to grow the idibu brand”. 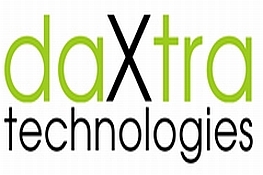 About Daxtra: Daxtra (www.daxtra.com) is the global leader in CV Parsing and Intelligent Searching & Matching solutions. Daxtra’s products are used every day by tens of thousands of recruiters worldwide to automatically load candidates into their existing RMS/ATS databases, where clients can search, rank and match existing candidates, but also uncover new candidates and vacancies from multiple online sources such as job boards, social networks, corporate sites and more. About idibu: idibu (www.idibu.com) is a name that continues to make waves throughout the UK recruitment and personnel industry by consistently developing innovative, reliable and competitively priced software. idibu supplies Multi-posting, Candidate Management & Tracking plus Applicant Screening applications to some of the UK’s best known recruitment brands including: Michael Page International, The Randstad Group, S:Three, Blue Arrow and the NES Group. All idibu products are simple to use, lightning fast, accurate and fully customisable and can be adapted to meet the needs of your business.